"Over 70 percent of PrimePay clients contribute to charity. To Bill and his team, that is certainly worth celebrating." 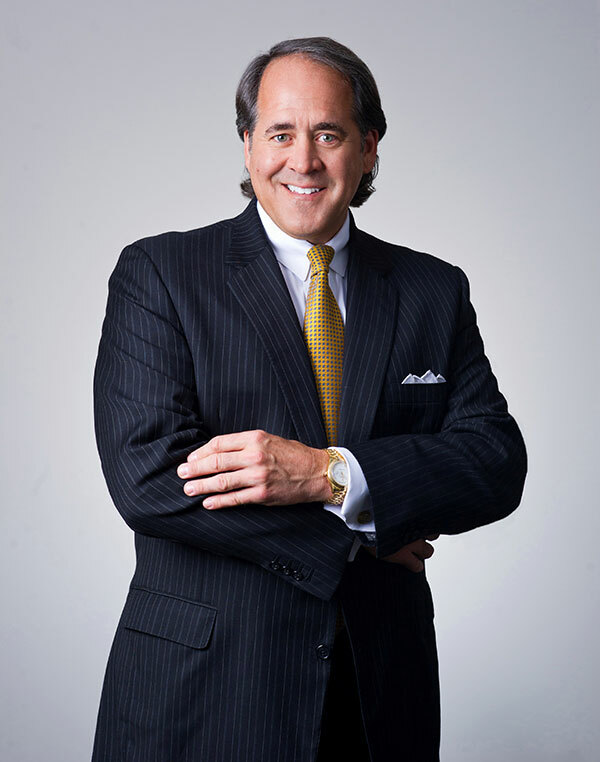 I had the pleasure of interviewing William J. Pellicano, CEO of PrimePay, a West Chester, PA-based payroll company. Bill founded PrimePay in 1986 and just celebrated 30 years in business! The company has nearly 500 employees in over 30 offices nationwide. PrimePay is empowering small business owners to focus more on what matters to them, by taking care of their back-office tasks like payroll and HR. Over 70 percent of PrimePay clients contribute to charity. To Bill and his team, that is certainly worth celebrating. Having worked for a larger payroll company, I recognized that there was a need. The company was losing focus on the client experience. I started PrimePay in 1986 and dedicated ourselves to providing an impressive service experience. After being a licensee of payroll software for a few years, we determined that we had to control our destiny. We built our own software and had the ability to closely manage everything from processes to service. To this day, over 30 years later, that is our differentiator and what we owe our success to – our client experience. My inspiration comes from my father. At three years old, he lost an arm and leg in a farming equipment accident. He always made the most of what he had and never gave into what he was missing. His handicap taught me that there isn’t anything that you cannot do. To me, he is the definition of perseverance. I have an interesting one for you. A few years after we started the company, I walked into our bank on a Friday night and was met by the FDIC. They were taking over and I couldn’t complete any banking transactions that day. Saturday, I met with the FDIC and learned that a bank officer made a bad transaction and the bank was underwater. In the early days, we had bank debt to fund the company. There was a clause in the loan docs called “right of offset”. This meant they were able to take money from my bank account and apply it to the debt balance. So we ended up with no money in the bank and less of a loan outstanding. A larger bank was interested in taking over the defunct bank, but I quickly learned they that they didn’t want to take on PrimePay as a customer. They thought we were too small and they weren’t interested in reinstating my loan. With no choice and a lot of motivation to prove them wrong, I found a smaller, regional bank. I am proud to say that years later we became their largest depositor. At PrimePay, we truly believe in the power of small business. By providing payroll, HR, and benefits administration to small businesses, business owners can focus less time in the back office and more time focusing on what they love. As I mentioned earlier, what makes us different is our commitment to the client experience. Our payroll clients can be paired with their own dedicated Client Success Representative. For most of our small business clients, this is a huge relief when it comes to managing their payroll and taxes. Through my success I’ve been able to meet many people at a variety of organizations. Some have really meant a lot to me and thanks to PrimePay’s success, we’ve been able to help them through philanthropic efforts. I’m thankful to be a consistent donor for a variety of nonprofits like Bringing Hope Home, which provides financial and emotional support to local families with cancer; Bunker Labs, which provides educational programming to help military veterans start and grow their businesses; and I personally help injured military veterans in need. PrimePay recently launched our Veterans in Business (VIB) program and brought on Navy SEAL Monty Heath to be the director of that division. VIB was created to show PrimePay’s dedication to supporting military veterans. We support and give back to the veteran community through a variety of nationwide initiatives throughout the year. 1. You won’t be able to make everyone happy. I thought it was simple. You hire people, you pay them, they do a good job, and everyone’s happy. But as we continue to grow, everyone has needs and wants and they’re most often not the same. As a company, we make the best decisions possible, based on the info we have at the time. You think it’s going to be a positive impact on most people, but you will learn that you’re just not able to please everyone. And that’s really hard to take, because our intentions are, and always will be, to try and make all of our employees happy. 2. Just because you’re an expert in your industry, doesn’t mean you’re an expert at running a company. I knew a lot about our industry, payroll specifically. But when it came to running a business, it wasn’t as easy. Every day you’re making decisions, big and small. You realize quickly that there are so many facets that come with running a business that you’re not ready for. For example, something as simple as finding an office space I took for granted. I was faced with this early on. I didn’t think about all the pieces and parts of signing a lease, not to mention the obligation for the next five years. Did I want to purchase equipment or was I better off just leasing? Everything I had to choose impacted the future of the business, our employees’ work-life balance, and our clients. There’s not a lot of room for error. 3. Patience is a virtue you need most in business. As fast as you want to make a decision, you must be patient in making the right decision. At times in our company, we’ve found ourselves making decisions too quickly. This is understandable! You’re fired up and you want to make a move quickly. But without doing the research, you could be making the wrong decision. A few years ago we were excited for a new offering we could bring to our clients to make their lives better. However, we were not patient enough to do the research, figure out what the market wanted, and truly understand what our ROI would be. We could have dug a little deeper to really find out what we were investing in. As bad as an experience like this can be, you sure do learn from it. Sometimes you have to fail in order to succeed. 4. Your business WILL change. I went into the business knowing I wanted to do one thing, provide a great payroll experience for our clients. I knew that we had to be adaptable to new technologies that were on the horizon and things of that nature, but I didn’t realize how much a business can evolve over the years. As we started gaining clients from competitors, we discovered different services they were offering that we couldn’t compete with. We had to offer those same services to make sure we were being the best we could be for our clients. The patience comes in here as well. You have to be able to recognize the direction your business needs to go in, really assess what that means for your company as a whole, and adapt when necessary. 5. The amount of lives that you will impact. The first part of this one is somewhat obvious: Your clients rely on you. In a sensitive industry like payroll, if we don’t deliver a check on time it’s a problem. People rely on us for their livelihood and we hold that to the highest regard. Additionally, I never would have guessed that some of our team members would still be with me nearly 30 years later. I had no idea the amount of people who would be so loyal, devoted, and committed to PrimePay in the way that our team is. Not only longevity, but people are doing jobs that they never saw themselves in. That’s really important to me. Warren Buffet. For me, meeting Warren Buffett wouldn’t be just about learning from his success (even though that would be fantastic), it would be more about hearing his life experience. He has 87 years of life experience on top of financial success, and he’s seen and accomplished a lot of great things, so that’s who I want to talk to.